Don’t forget to set your clocks forward this Sunday, March 11th at 2:00 AM EST in observance of Daylight Saving Time. 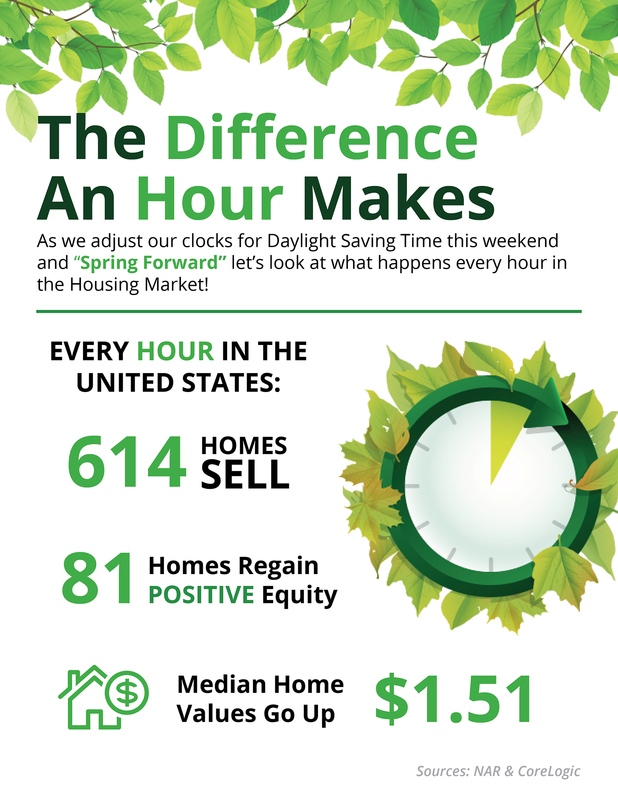 Every hour in the United States: 614 homes are sold, 81 homes regain equity (meaning they are no longer underwater on their mortgage), and the median home price rises $1.51! When Is a Good Time to Rent? Not Now!